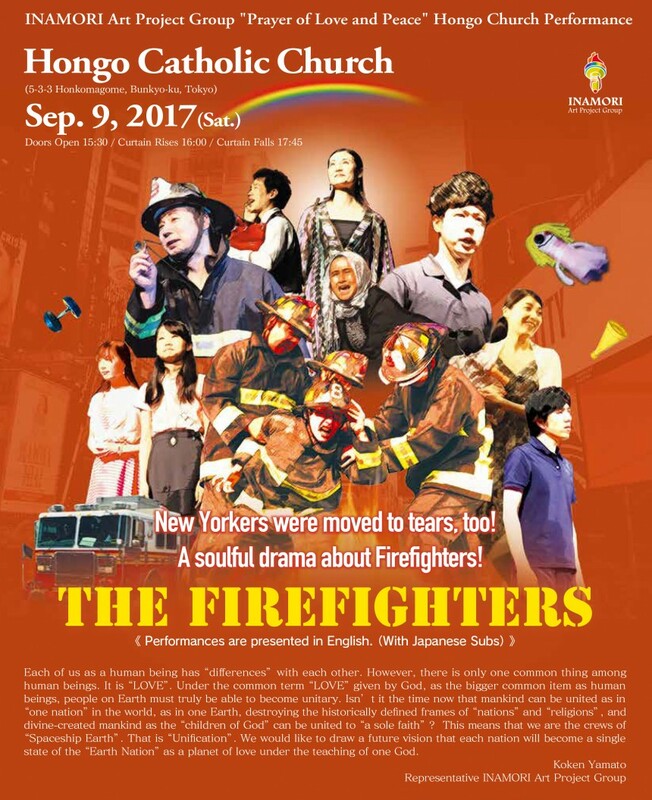 The Inamori Art Project Group (IAPG) presents their original musical play, “To Earth Children”, and their drama “The Firefighters” at the Hongo Catholic Church, on Saturday September 9. The screenwriters hope to convey their message to bring all humans on Earth together over boundaries of race and religion. All performances will be presented in English, with Japanese subtitles.